Apple Store was down a while ago as it was preparing to launch the new Mac product lineup, just in time for the 2009 holiday season. Everyone was anxiously waiting and rightly so, to see what Apple has got up its sleeve for this fall. Now the cat is finally out of the bag! Apple has updated its Mac lineup by introducing the much anticipated new 21 & and 27 inches iMac’s with full HD (2560 x 1440) 16:9 widescreen aspect ratio, “mightier” Mac Mini’s with more memory and faster processor, newly designed MacBooks line and the revolutionary new Magic Mouse with multitouch technology. The New 21’’ and 27’’ iMac. CUPERTINO, California—October 20, 2009—Apple® today unveiled an all new iMac® line featuring brilliant LED-backlit 21.5 and 27-inch widescreen displays in a new edge-to-edge glass design and seamless all aluminum enclosure. The new iMac line, starting at $1,199, is the fastest ever with Intel Core 2 Duo processors starting at 3.06 GHz, and Core i5 and i7 quad-core processors for up to twice the performance. * Every new iMac ships with a wireless keyboard and the all new wireless Magic Mouse, the world’s first mouse with Multi-Touch™ technology pioneered by Apple on the iPhone®, iPod touch® and Mac® notebook trackpad. 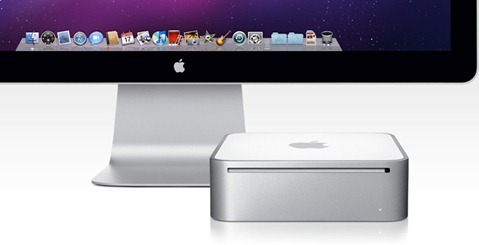 The new 3.06 GHz Intel Core 2 Duo iMac, the “mightier” Mac mini, Magic Mouse and MacBook Pro line are now shipping and available immediately as of today through all Apple retail channels. 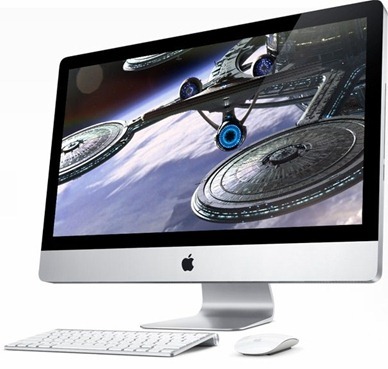 However, the Intel Core i5 and i7 quad-core iMacs are available for order and will begin shipping this November. the magic-mouse can be installed on the IPAD or iPhone?